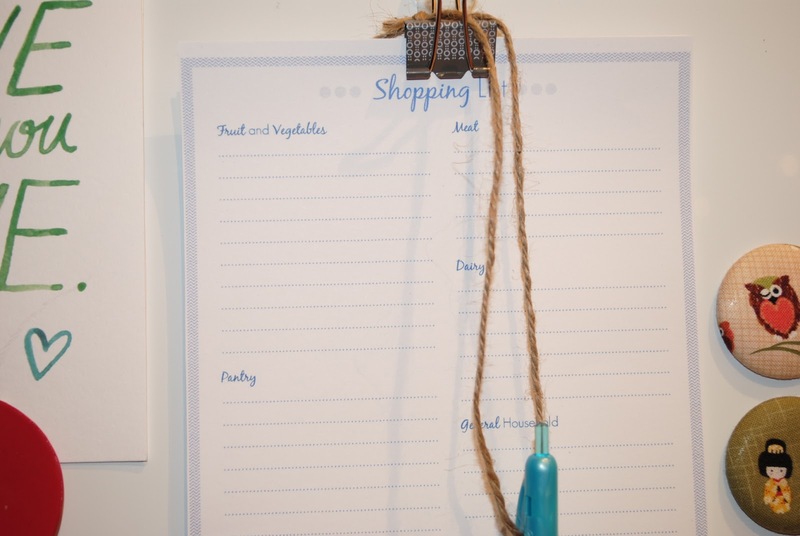 I love this shopping list! 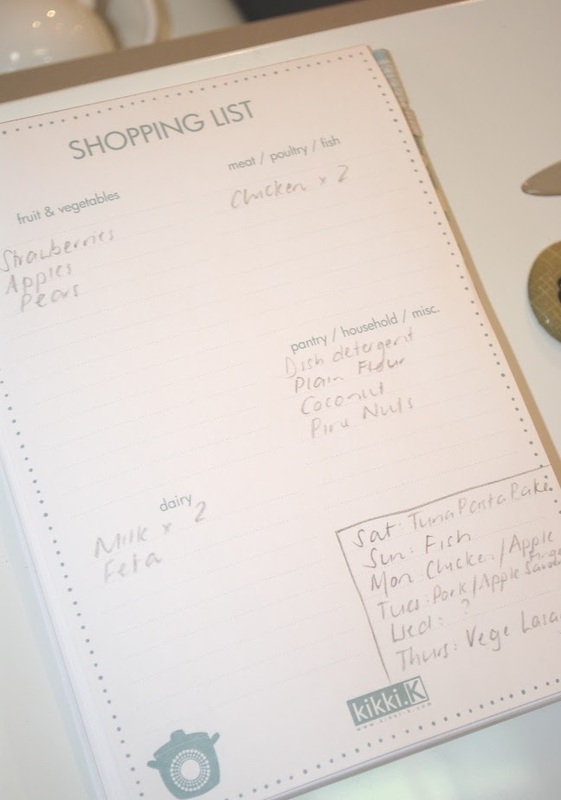 I bought a similar one to this from Kikki-K about six months ago and because it's a categorised list, it has not only saved me time at the supermarket but has seriously saved me money too. This in turn makes my husband very happy which means I get to spend more money elsewhere (strategy people, strategy). I have always used a shopping list but usually it consisted of a bit of paper or a non-categorised list which meant I spent a lot of time cruising every aisle, being distracted by things I didn't need, going back to aisles I had already been down and just generally wandering around (often in a bit of a daze) randomly throwing things into the trollery - dangerous really, and not the smartest approach. 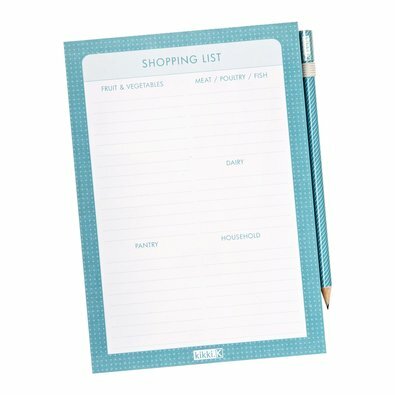 I quickly realised (well, actually not quickly at all - more like "I very slowly realised") that no order on a shopping list was a time & a money-waster. 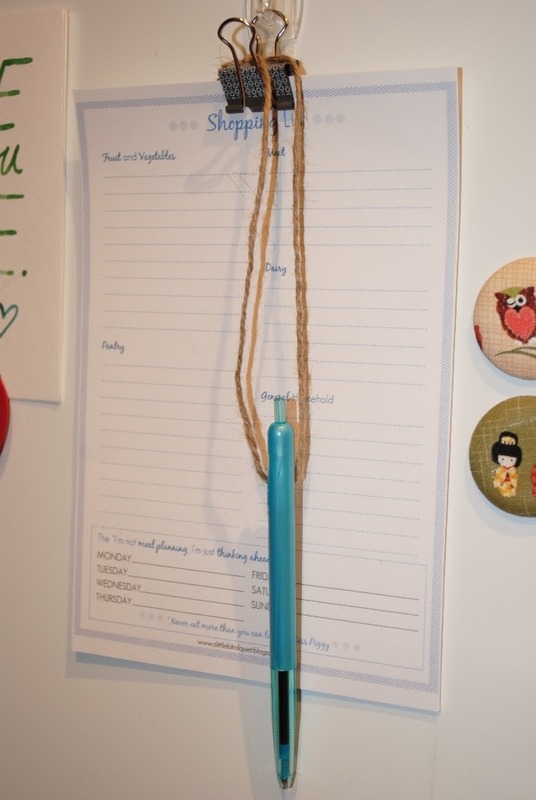 And that, my bloggie friends, is why this list is so very practical - and economical. There is only one thing I have found myself adding to it, and is something I have been resisting for a really long time ... Meal Planning! Eeeeek, I know - meal planning - it sounds so organised and grown up and well, actually, just a tad OCD, don't you think? I resisted it because, even for me, it just seemed a bit too organised, a bit too "controlled" and just a bit too scary. What if I wanted something different on Tuesday night? What if we went out? What if I couldn't be bothered cooking? What if, what if, what if. 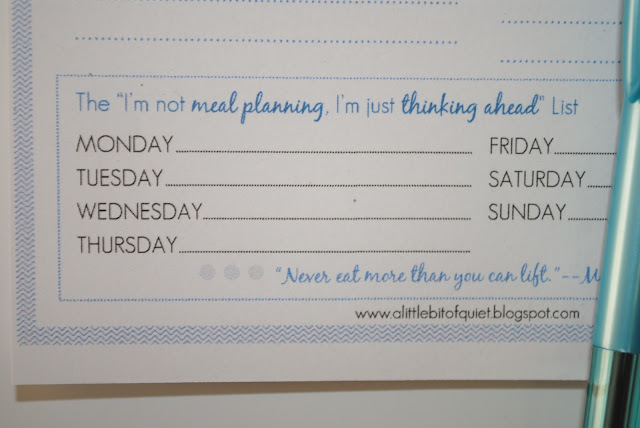 Well, I decided to say "pffft" to the "what-if's" and to my inner doubter, throw caution to the breeze and just join that big ol' pile of meal planning crazies I had so resisted to become. I did, however, start off very casually. 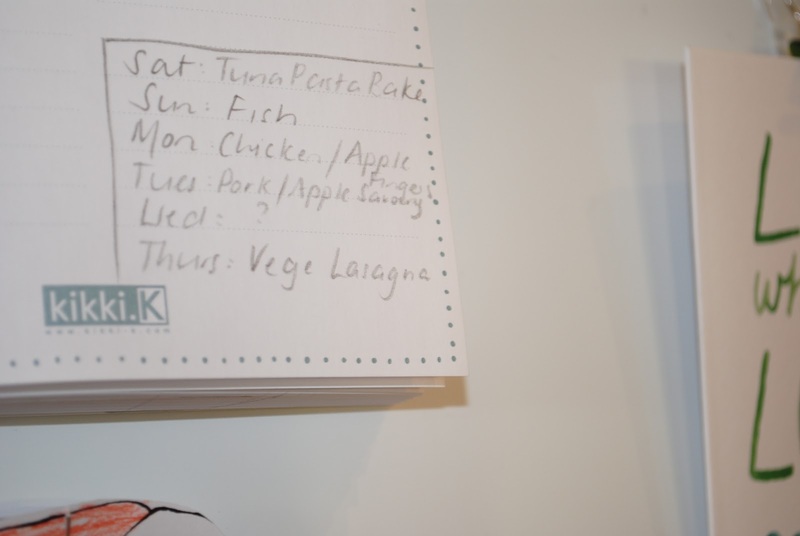 I would messily scribble down 3 or 4 meals at the bottom of the list in an attempt to convince myself that if it was messy and scribbled and not a full 7 meals, then it wouldn't technically be meal-planning, would it? Would it? Anyway, what I have found is, and whatever you choose to call it, it works. It really does. Once again, it saves me time and more importantly, it honestly saves me money - not only on food but on petrol because I'm not making trips to the grocery store every day. I now try and do at least 5 meals a week with one or two "?" thrown in to keep the inner-doubter happy. For the 10 minutes it takes at the end of the week to think about the next week's meals, I definitely think it's a good idea. So, because I kept "marking up" my list every week with my very casual, very scribbled "thinking ahead" list at the bottom, I decided to create my own shopping list with a "proper" and organised (uh oh) meal-planning section at the bottom. 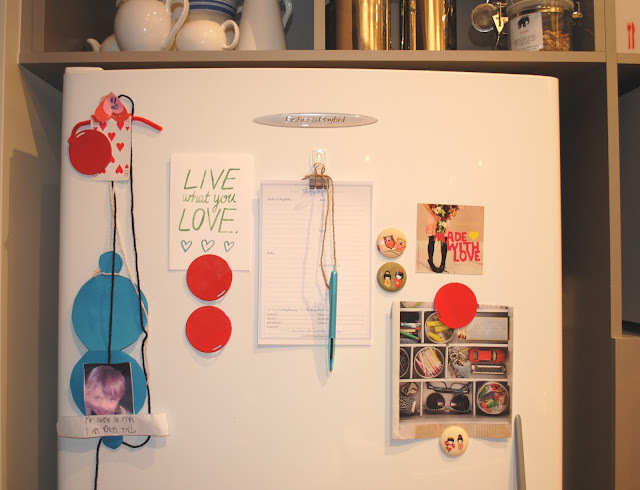 When my Kikki-K pad runs out I will just print out a whole stack and clip them on the fridge. Easy! 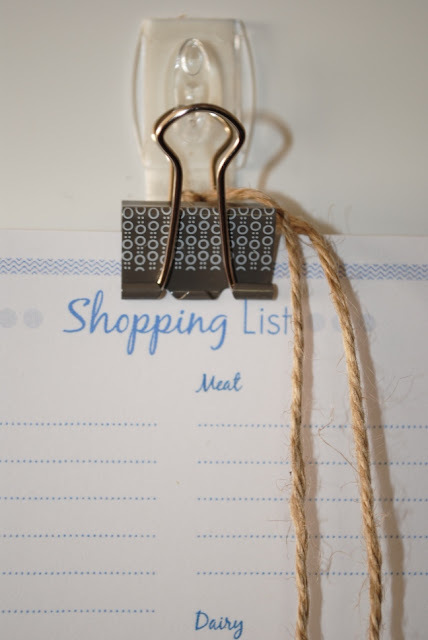 And because I now have a blog, I realised I can share the shopping list goodness with you. Awww, love that. If you'd like a cute little categorised list with a "thinking ahead" box at the bottom, then download as you please. I would love to hear how the list works for you and do you meal-plan, or are you resisting the OCD'ness of it all?! Really enjoyed reading your post. I think I may have to get a little OCD with you.. Thanks for this list. I too have resisted the meal planner finding it less than inspiring but am slowly recognising the chaotic version needs an over-haul!